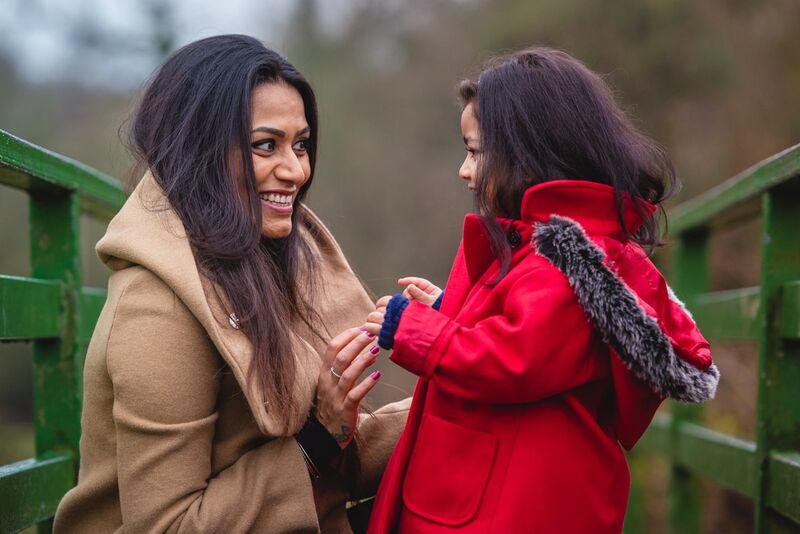 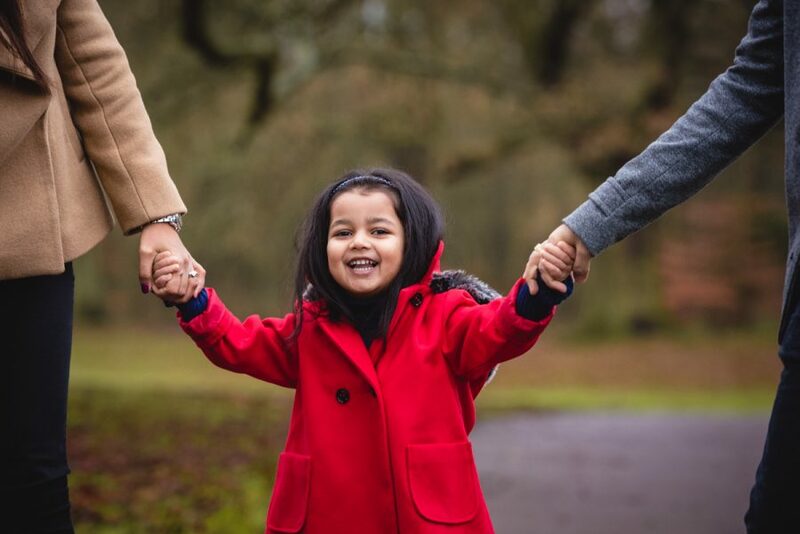 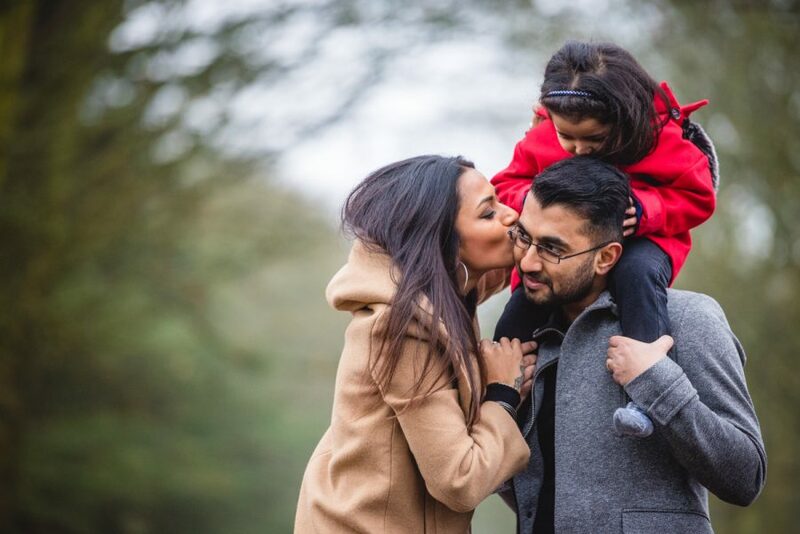 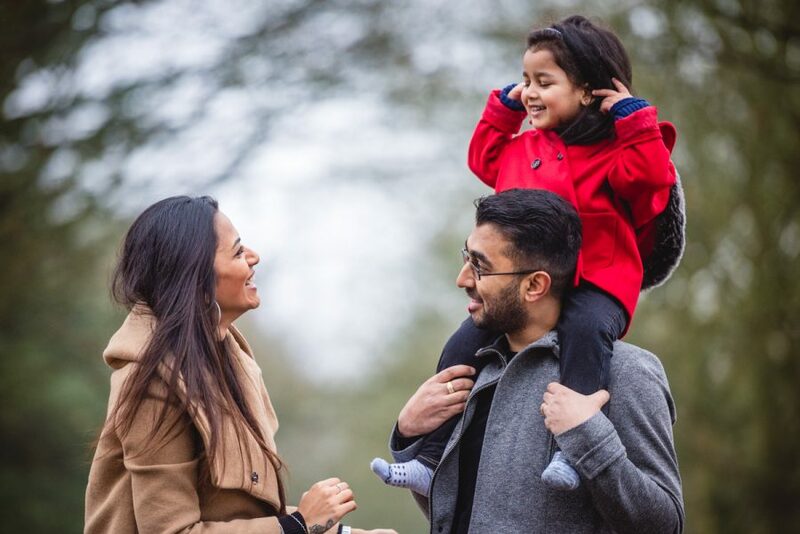 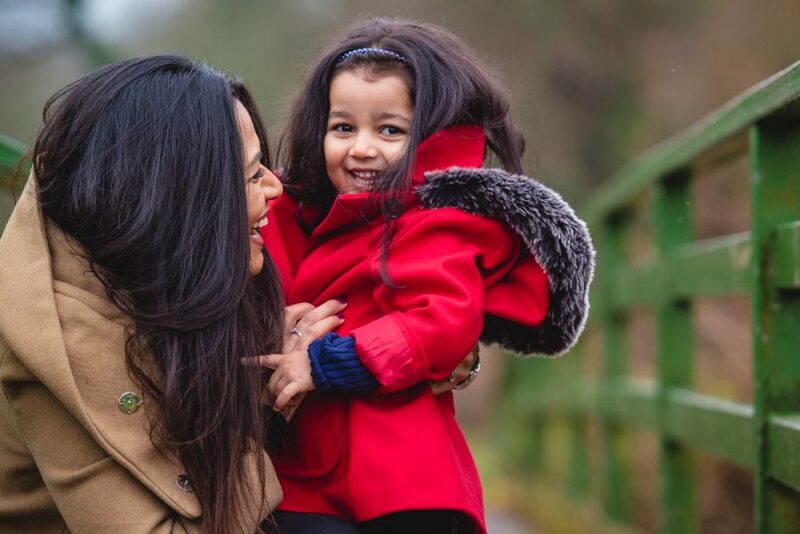 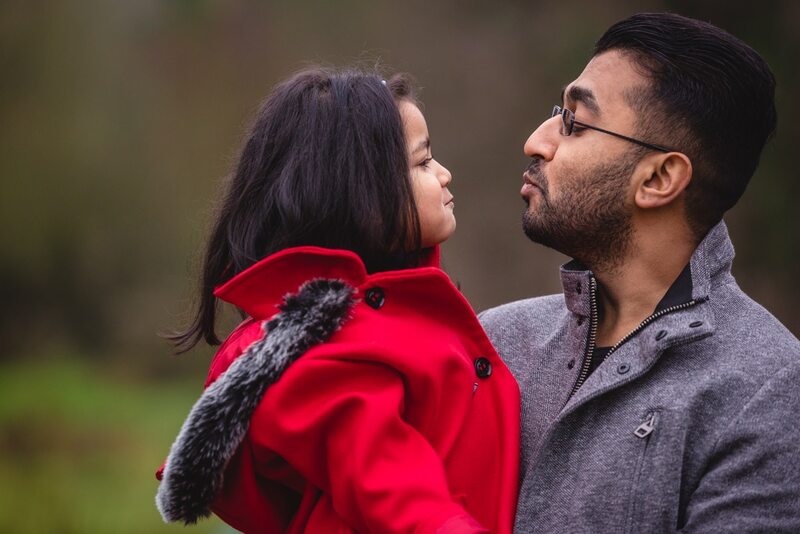 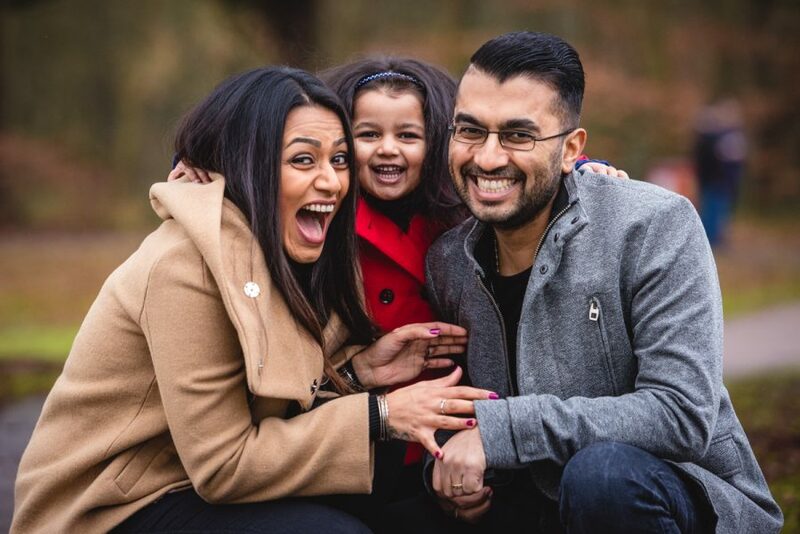 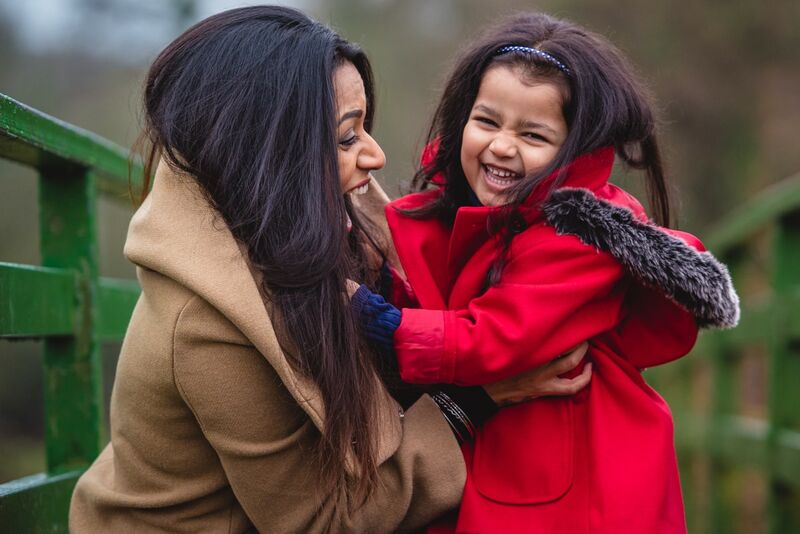 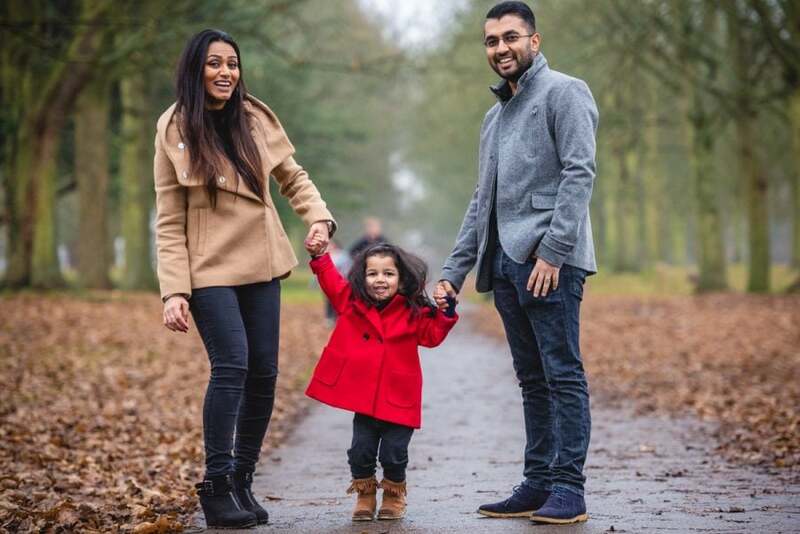 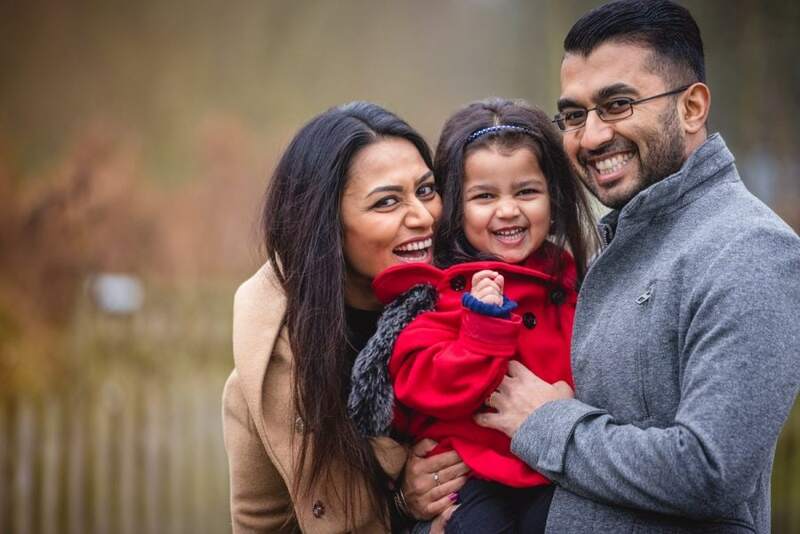 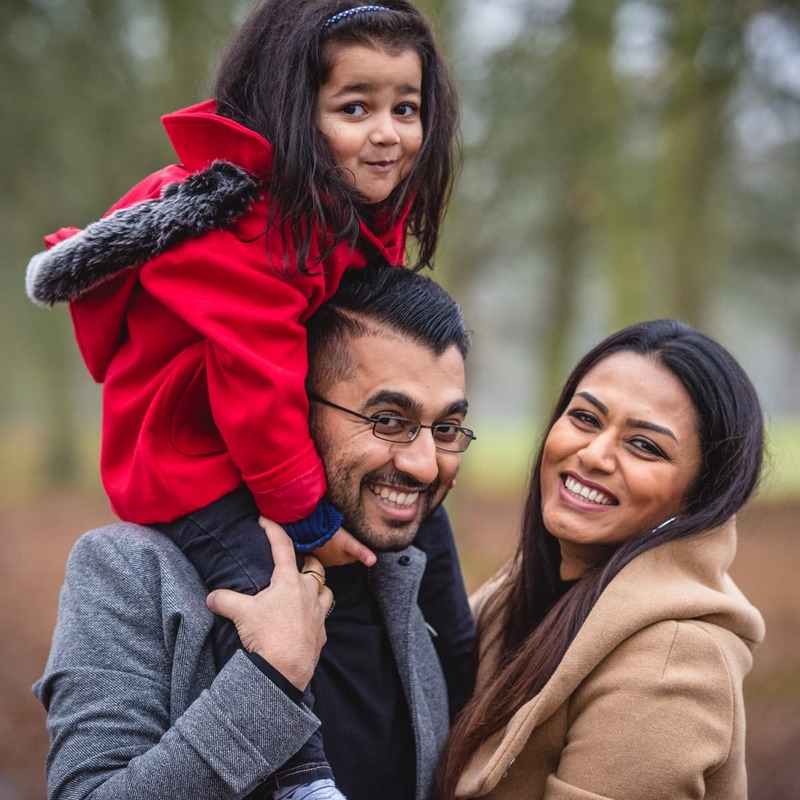 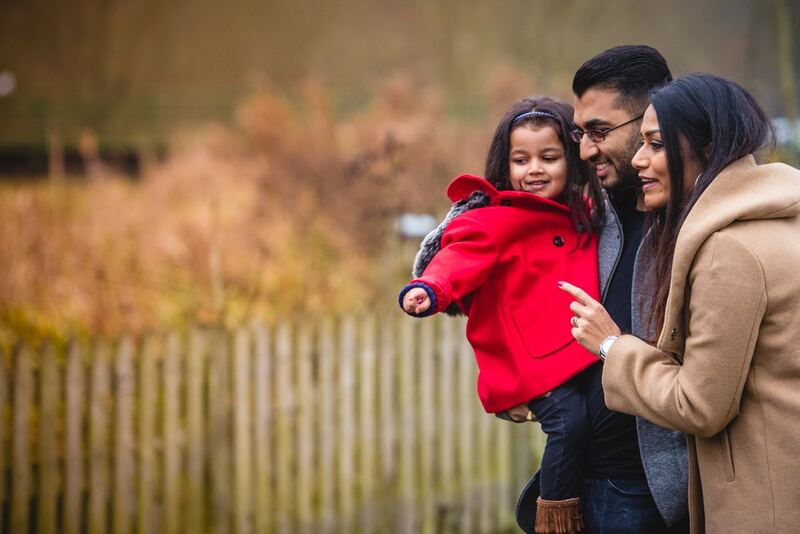 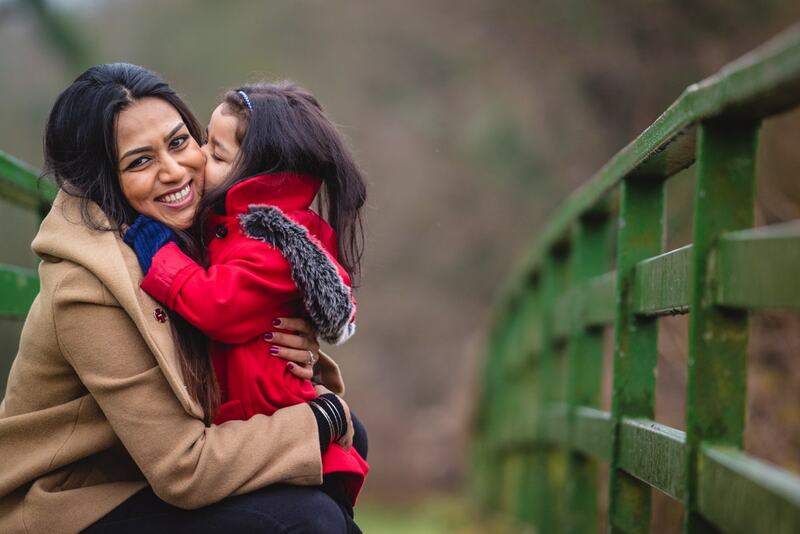 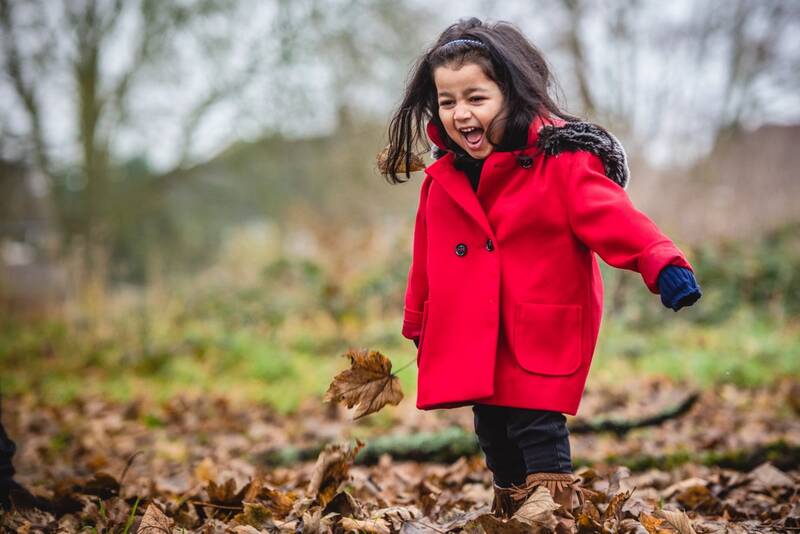 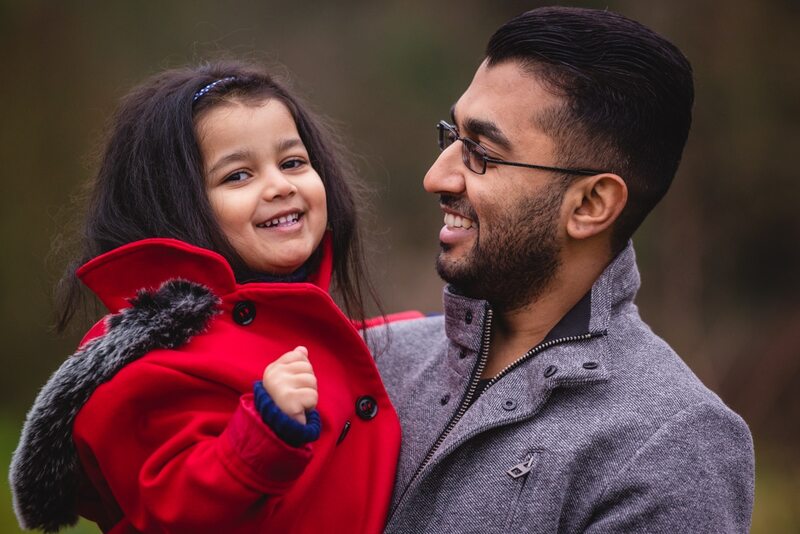 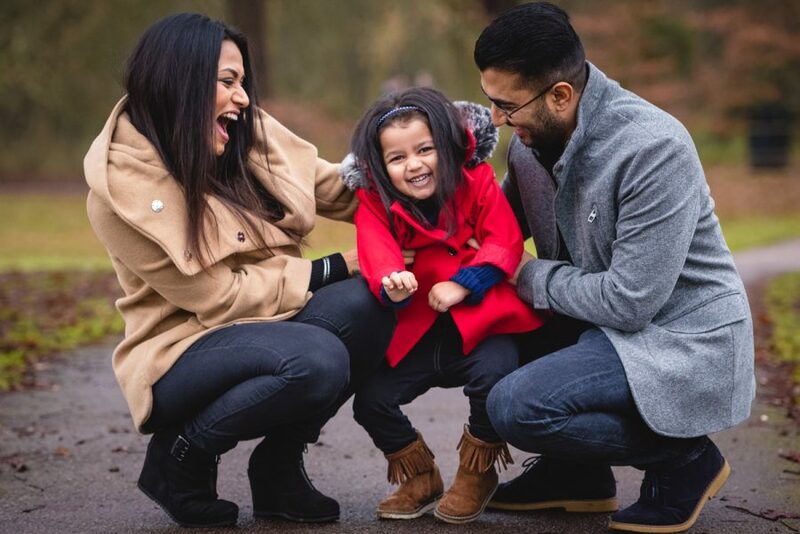 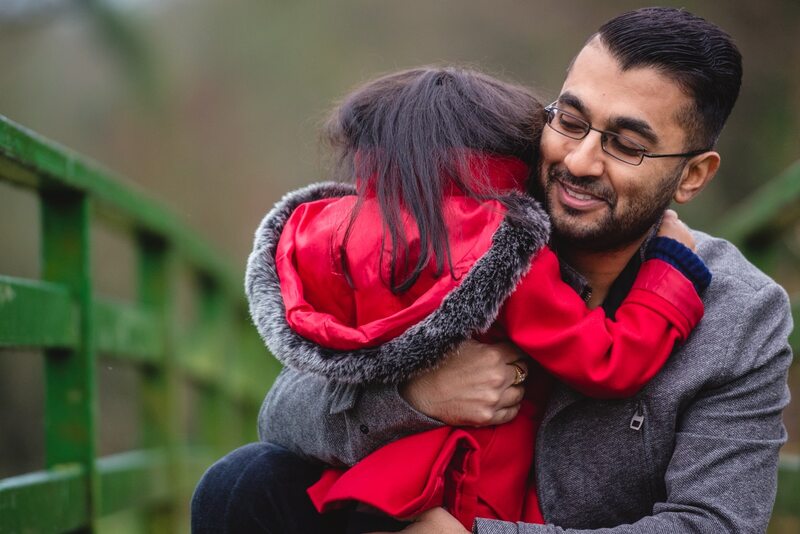 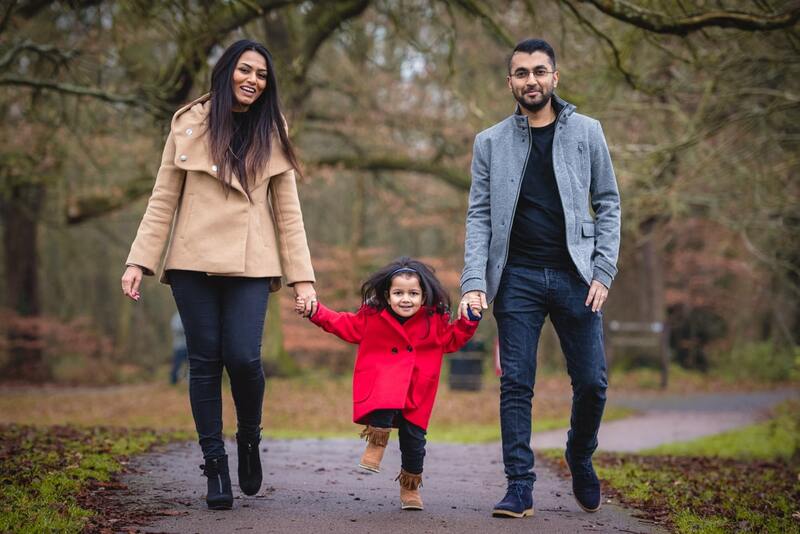 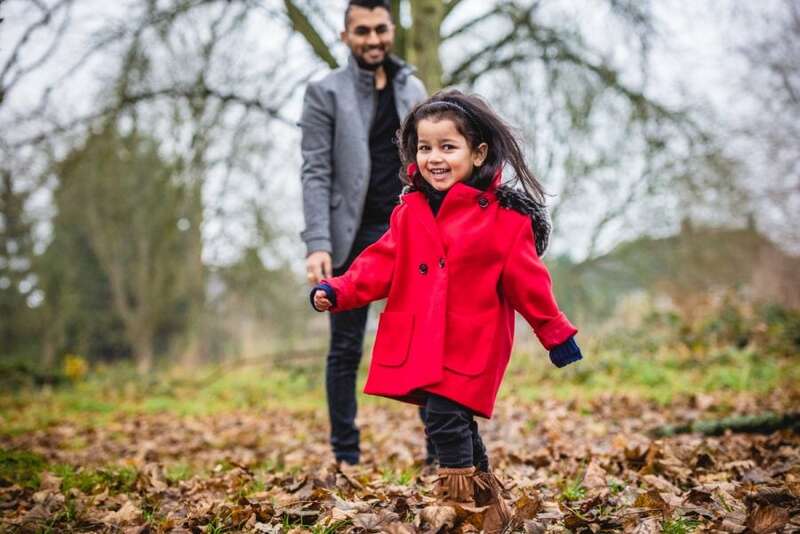 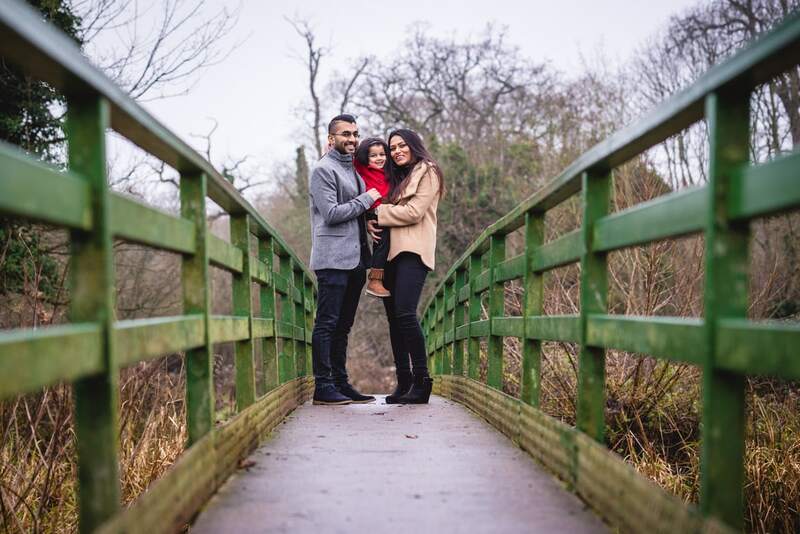 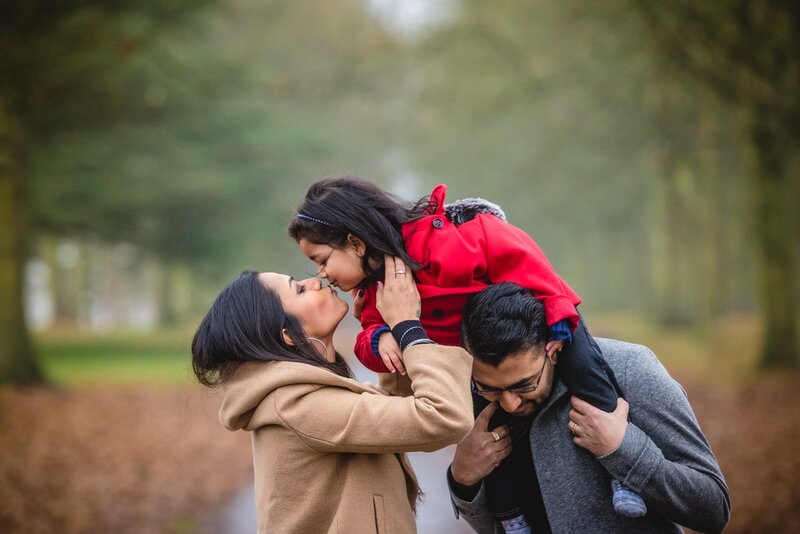 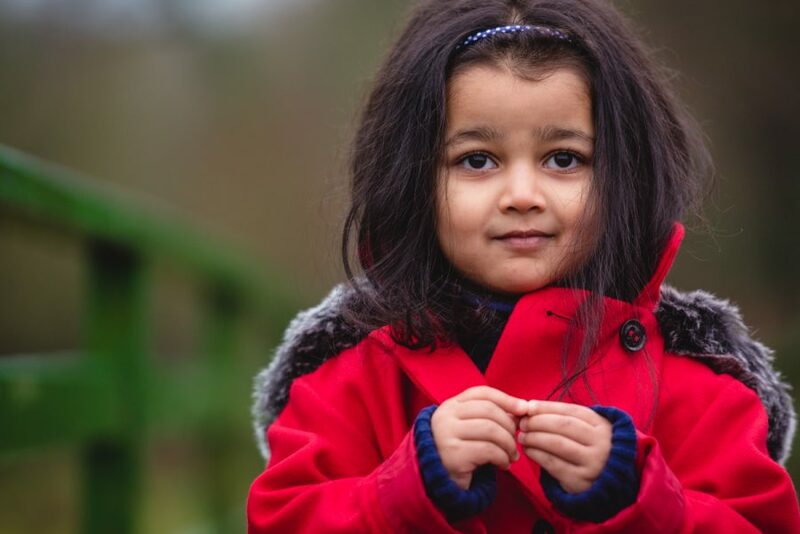 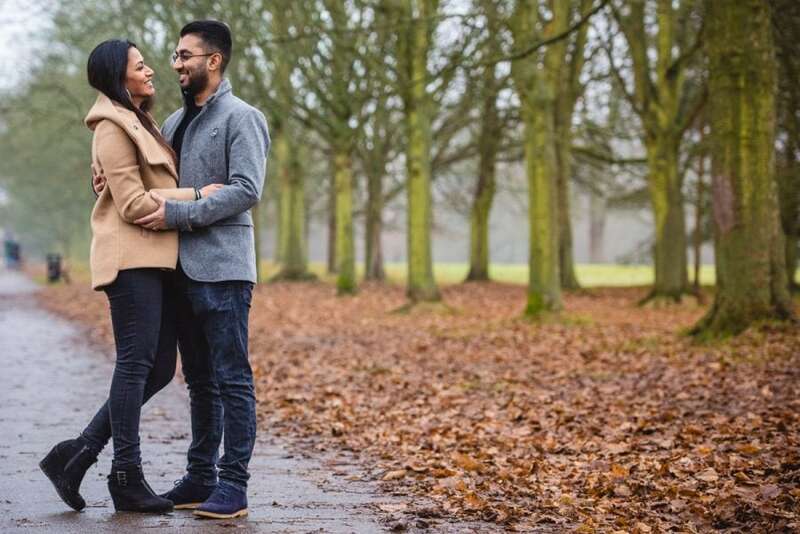 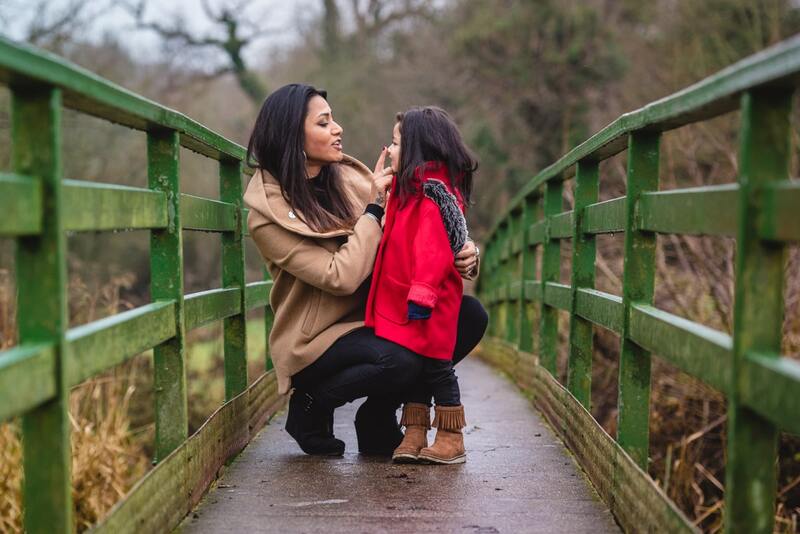 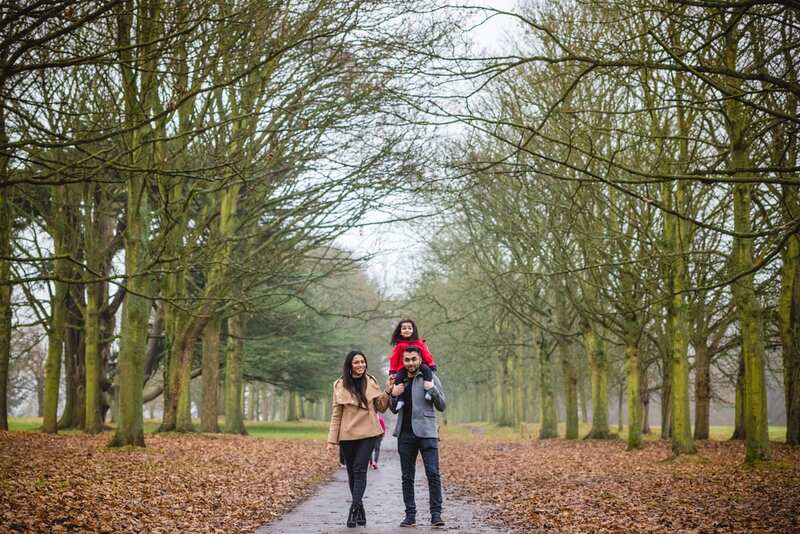 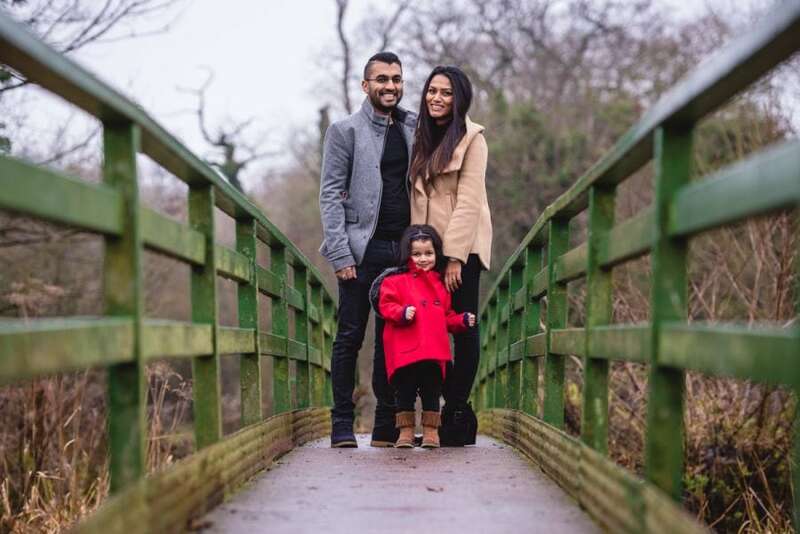 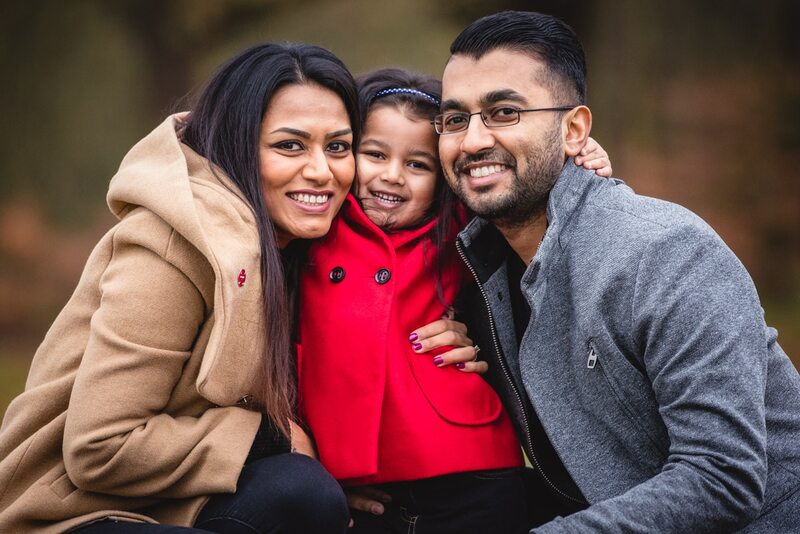 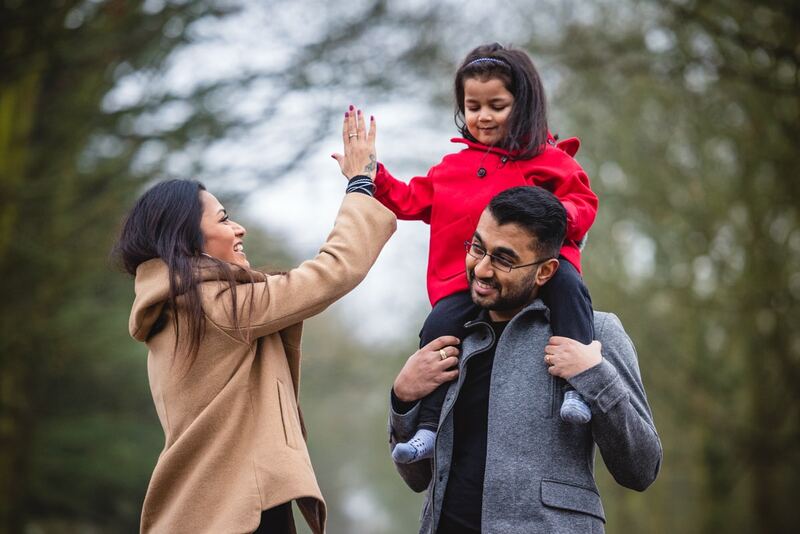 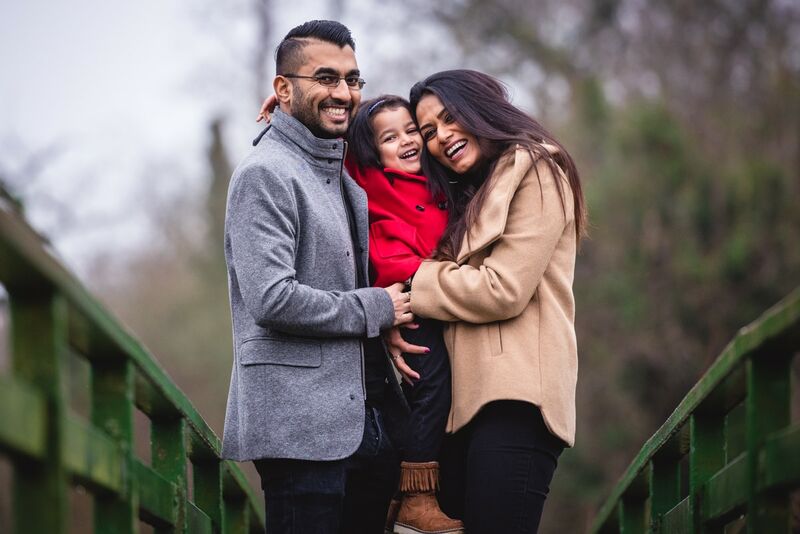 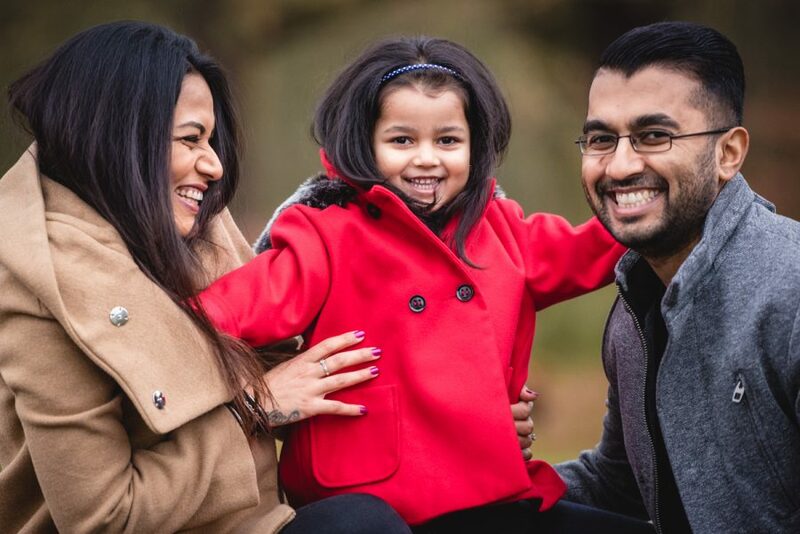 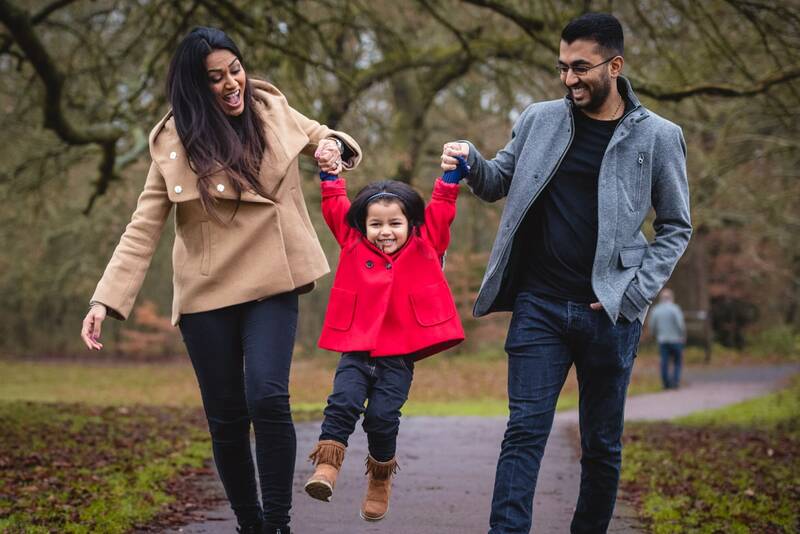 Manisha and her family had their portrait session on a chilly day in December. 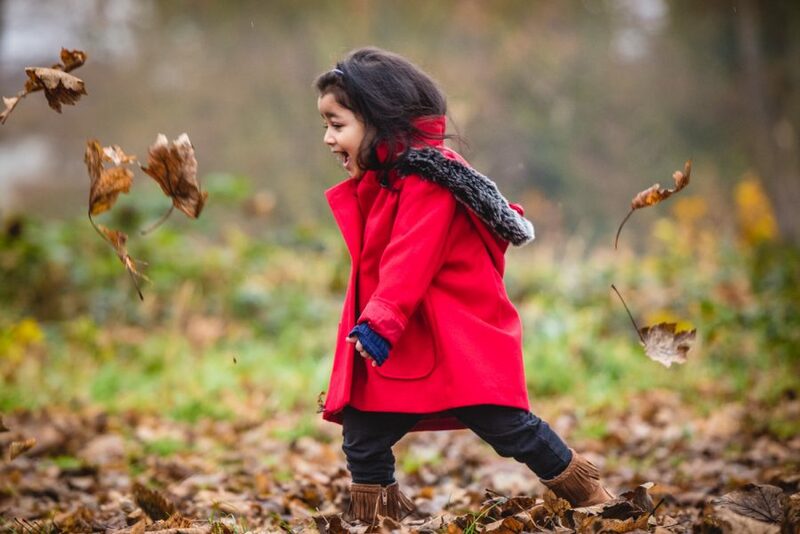 Shoots at this time of year can work really well, especially if there are still autumn leaves on the ground. 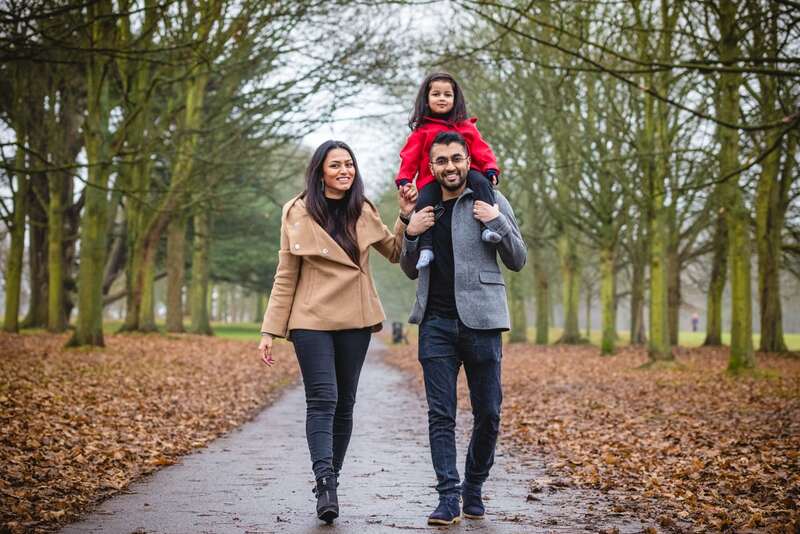 The session took place at Cassiobury Park in Watford. 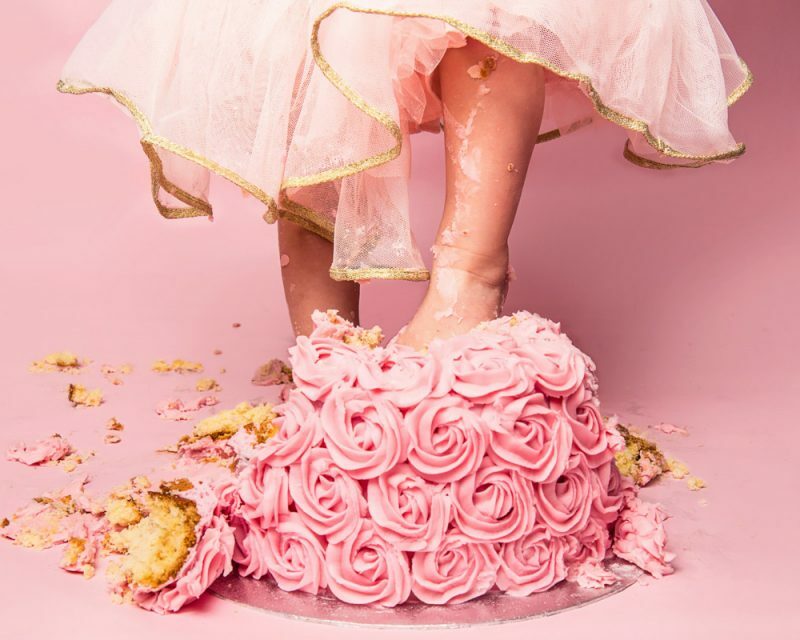 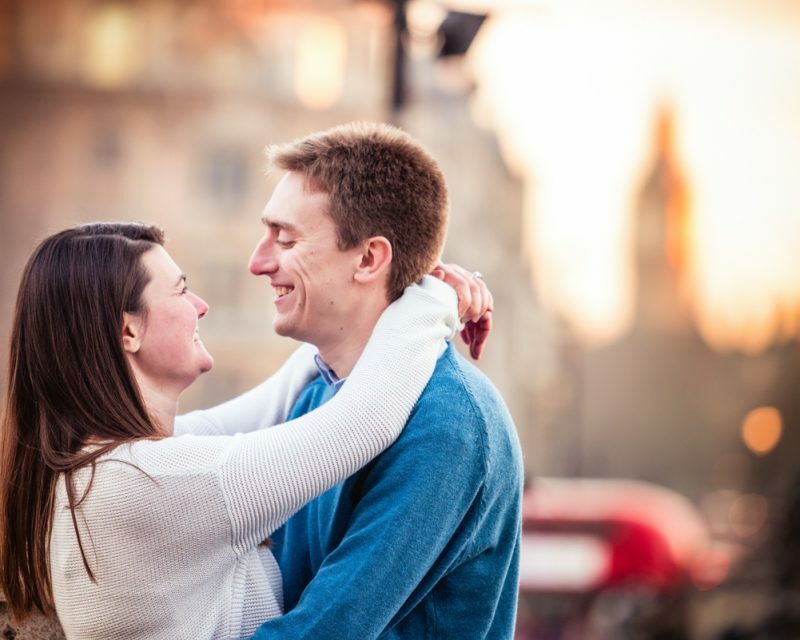 I’ve worked here on many occasions but because there are so many great places to shoot, each session looks different. 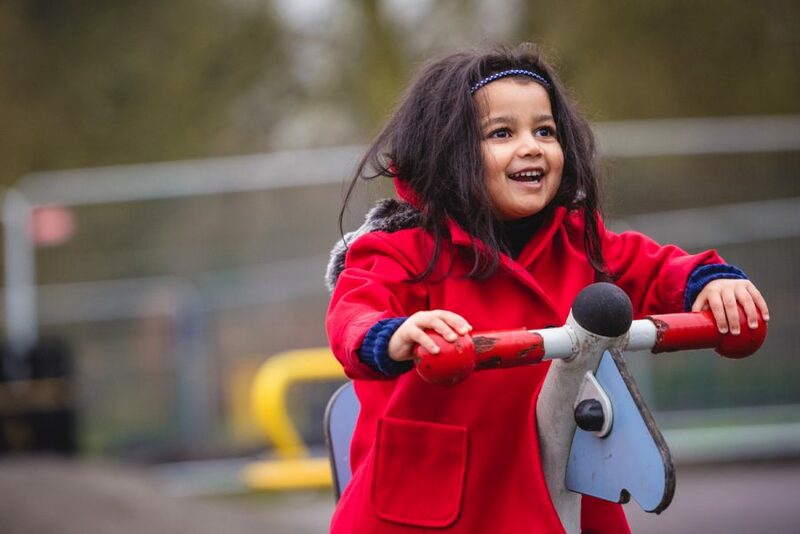 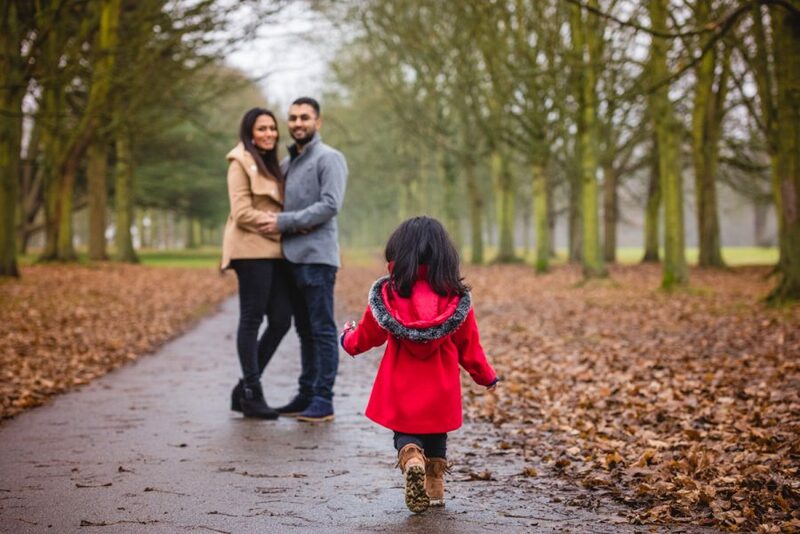 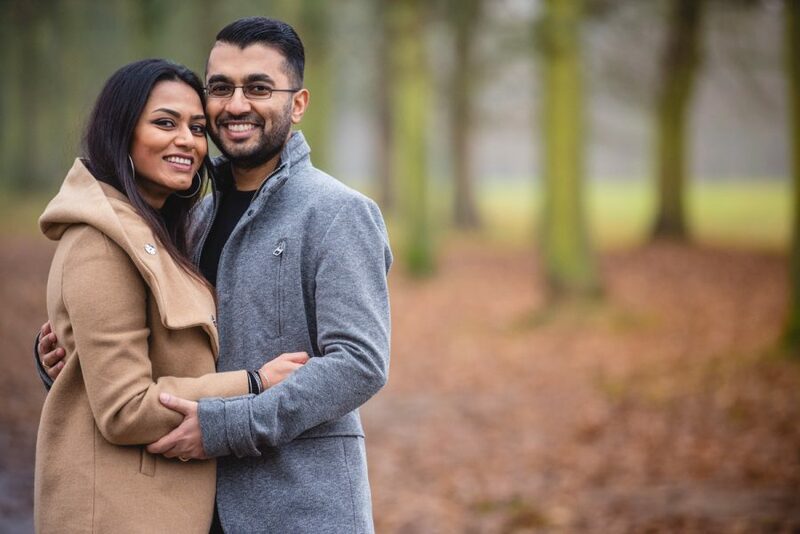 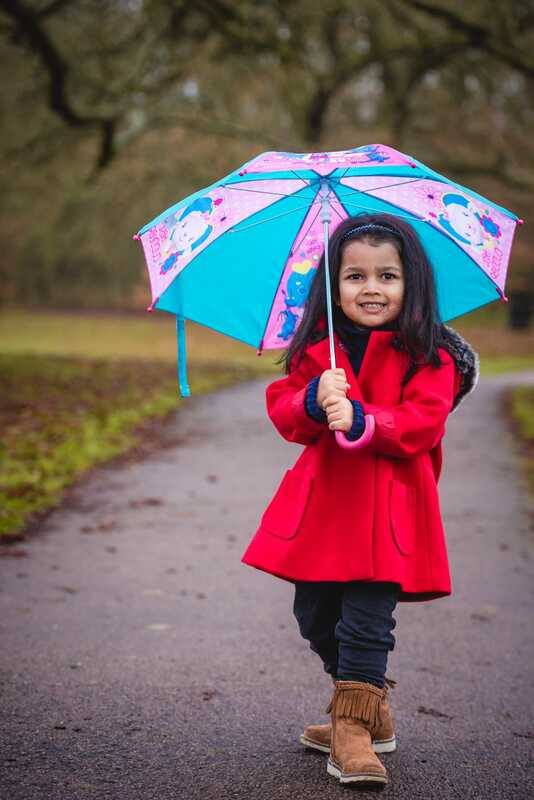 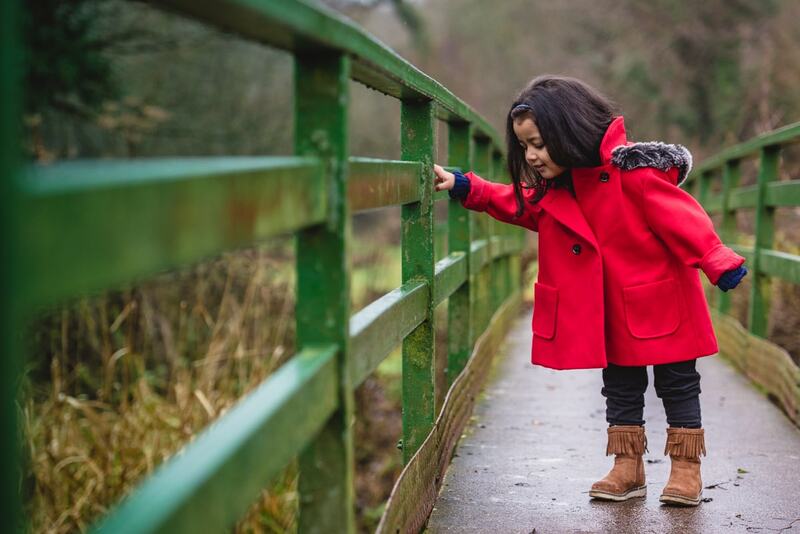 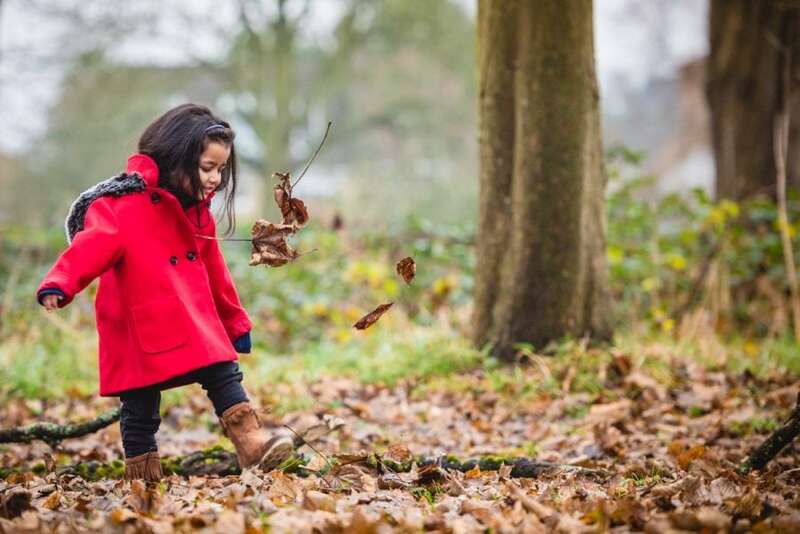 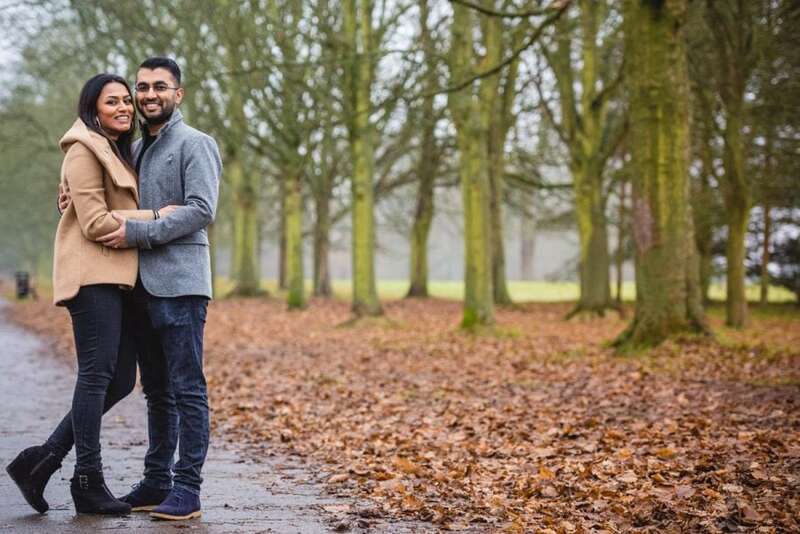 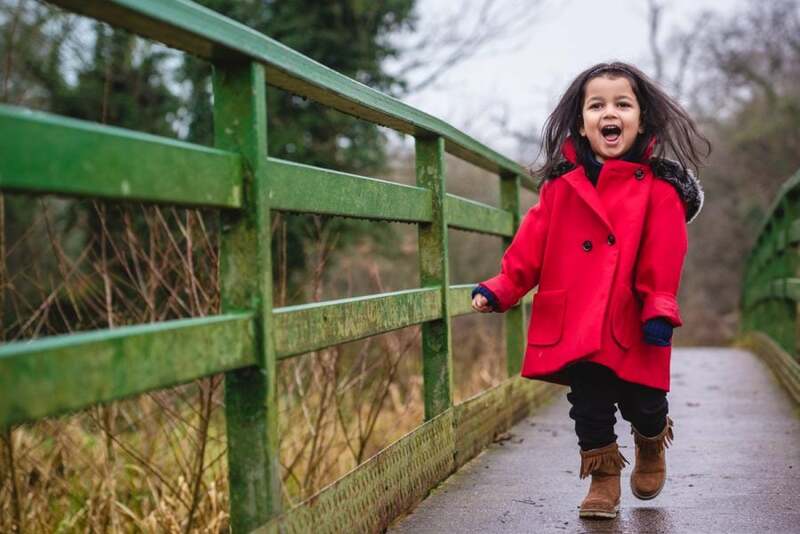 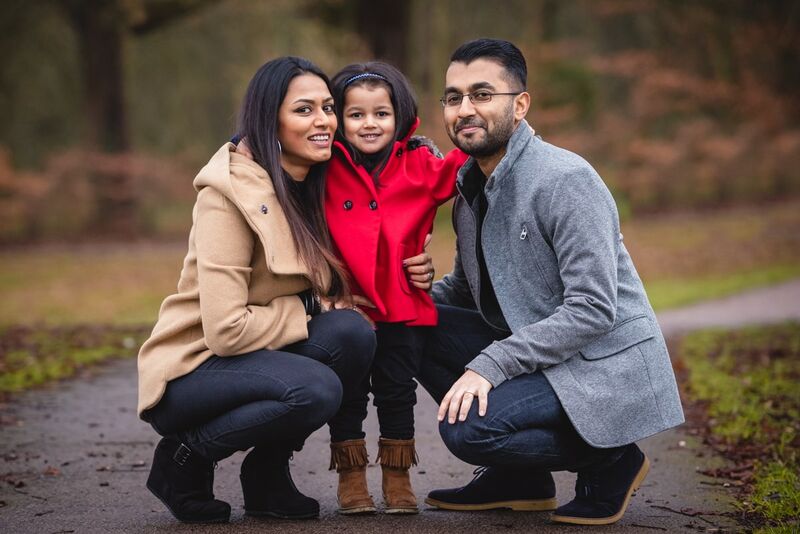 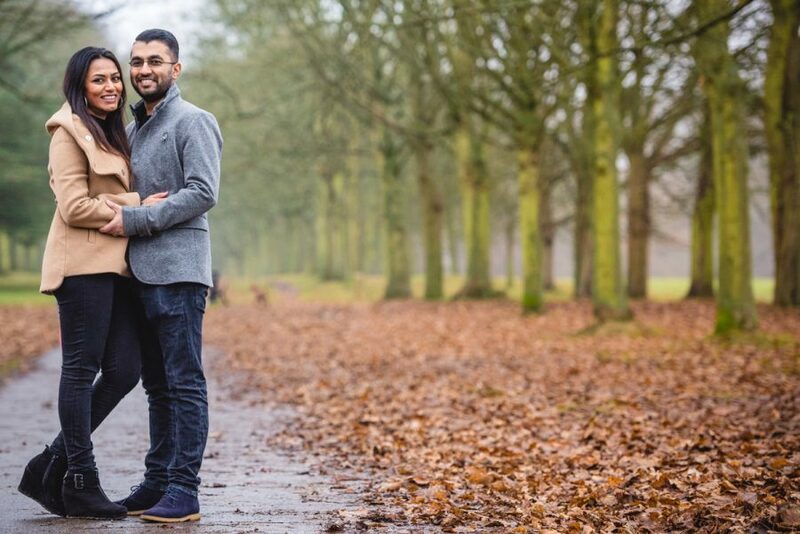 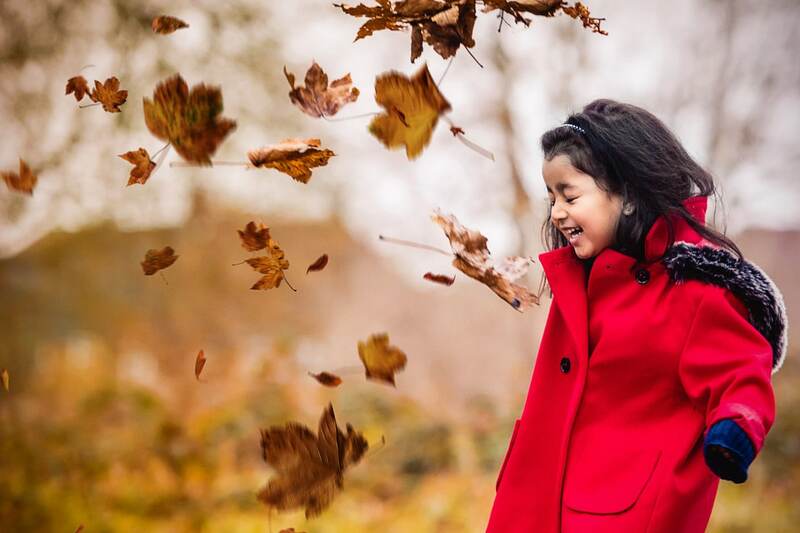 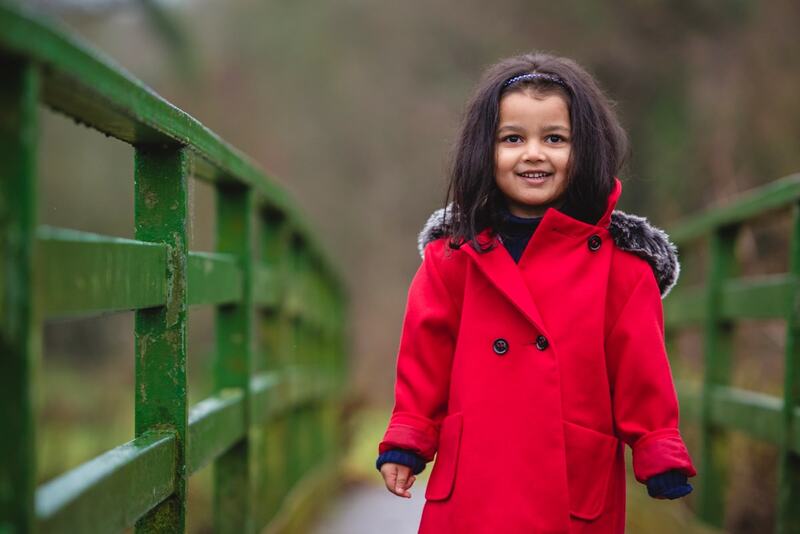 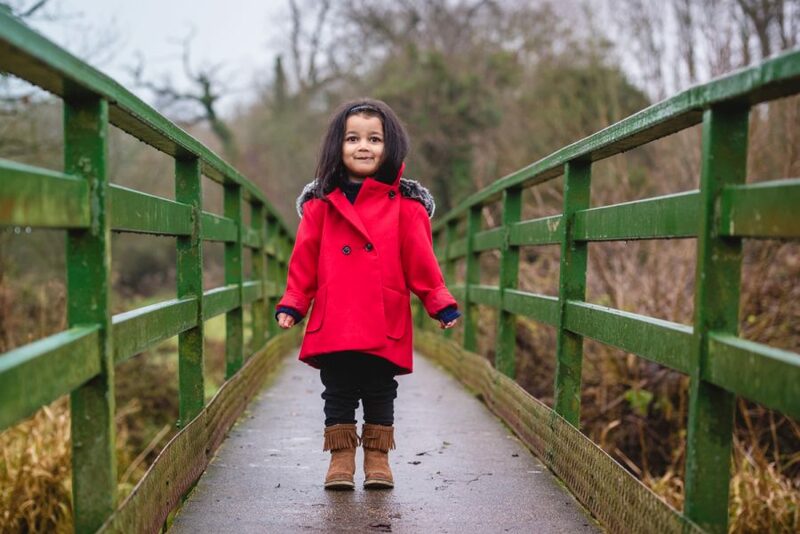 Risha wore a gorgeous bright red coat which worked perfectly in the photographs. 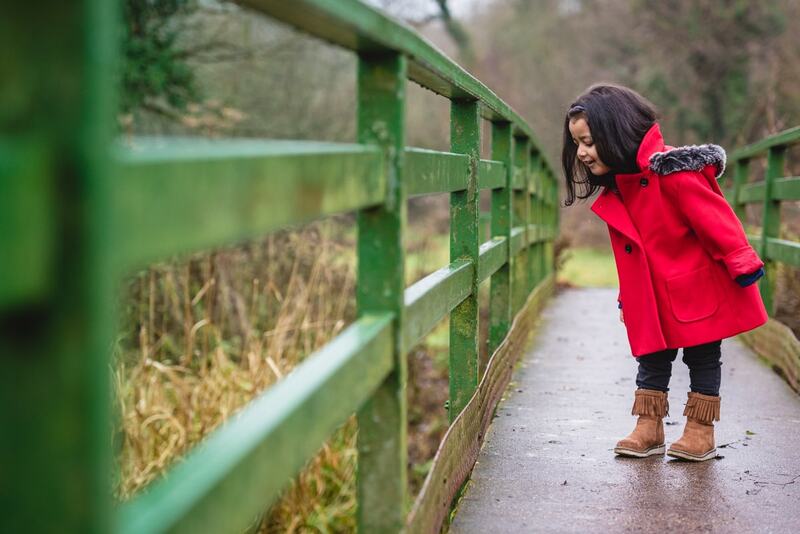 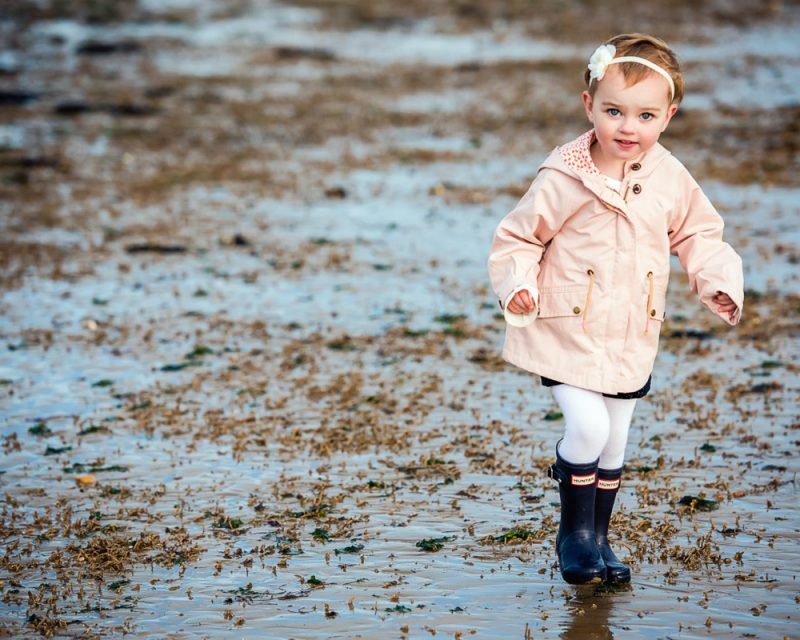 She loved being swung up into the air, playing catch with her dad and looking at the ducks. 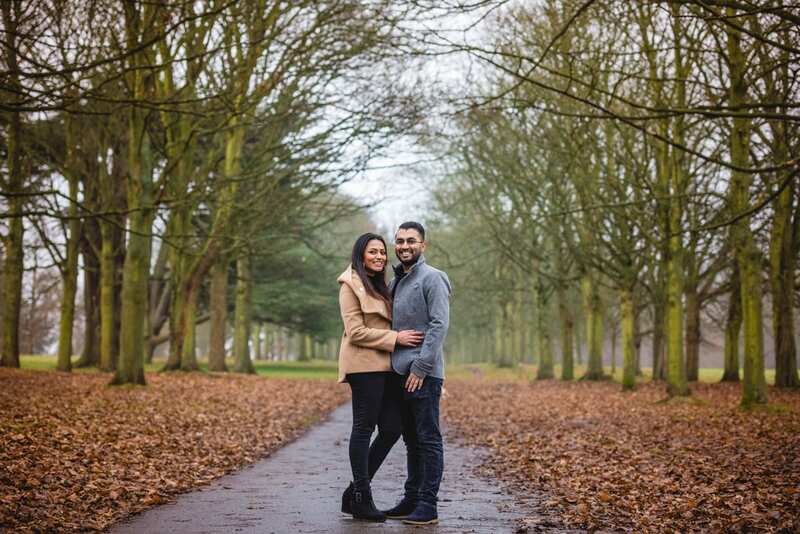 Cassiobury Park has a rustic green bridge which I’ve used lots of times to create an interesting backdrop. 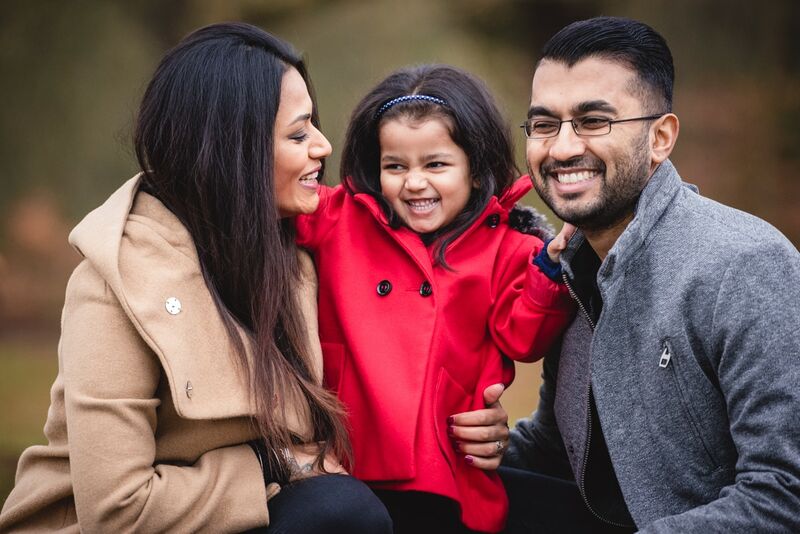 Afterwards, we got some fun family photos with Risha on her dad’s shoulders and some great action shots as she was kicking the leaves in the air. 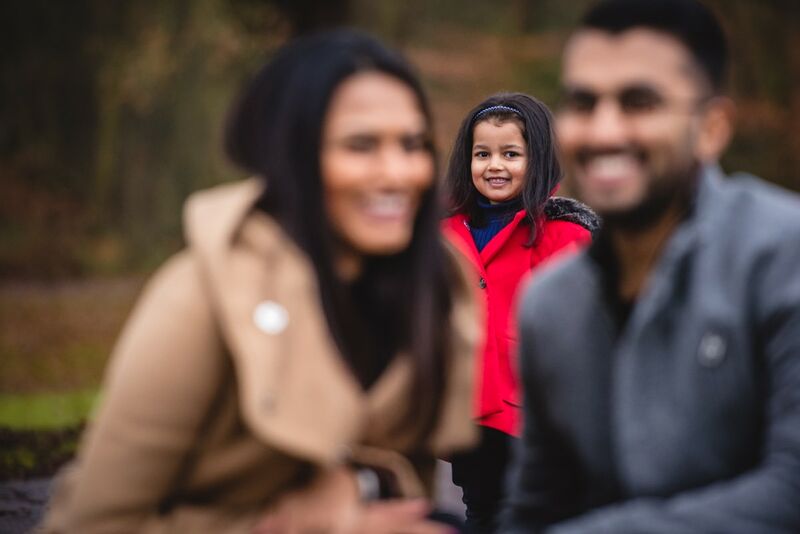 I had a great time photographing this family and Risha did exceptionally well in front of the camera.